Sign up below to receive notification and special introductory pricing. transform every area of your life. 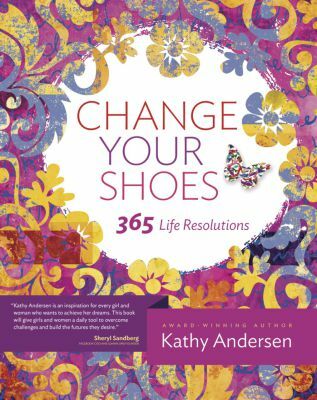 Change Your Shoes, 365 Life Resolutions. You will experience a combination of transformational tools and learnings including guided visualization, self-leadership, mind-science, meditation, relaxation, focus, sensory stimulation, and creative inspiration. Move forward faster and more effortlessly. Manifest all you desire in every area of your life. Enjoy greater balance and harmony. Feel more peaceful and at ease every day. Experience your relationships to their fullest. Generate greater success with more simplicity. Reduce your busyness and have more impact. Leave barriers and blockages behind you. Take control and take action. seven essential powers of success. 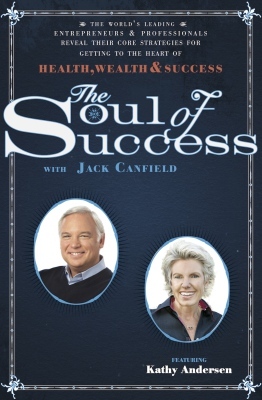 your greatest and most authentic success. Mastery of the powers of success. Tools to leap into opportunities. Tools to overcome challenges and obstacles. Practices to gain clarity and focus. Understanding how to use the powers in combination . Connection to your wiser and higher self. Ongoing resources for continued growth. 1. To Where Will Your Shoes Take You? Journey to your authentic passion, purpose, and happiness. Step onto a higher platform to view your life. Give voice to the dreams and desires in each area of your life. 2. Change Your Shoes: Step Into Your New Shoes! Identify the shoes that are missing and need repair. Fill your "shoe closet" with new shoes for each area of your life. 3. Change Your Shoes: Leave Your Old Shoes Behind. Identify the shoes that keep you stuck, and leave them behind. Identify the “comfort shoes” that keep you away from your dreams. 4. Create Your Path and Take the Next Steps. Map the first steps you need to take in each area of your life. Use visualizations and affirmations to manifest the path to your dreams. 5. Sustain the Shoe Closet of Your Dreams! Create accountability and support structures. 1. The Creator Soul Shoe. The Creator Soul Shoe represents your divine power to create the vision for your life, to dream, inspire, and express. Key Power: Dreams. 2. The Warrior Soul Shoe. The Warrior Soul Shoe represents your power to fearlessly battle the forces that work against you as you journey toward your dreams. 3. The Sage Soul Shoe. The Sage Soul Shoe represents your highest wisdom, mindfulness, knowledge, faith, intellect, and judgment. Key Power: Wisdom. 4. The Magician Soul Shoe. The Magician Soul Shoe represents your transformational powers to manifest all of your desires. Key Power: Manifestation. 5. The Adventurer Soul Shoe. The Adventurer Soul Shoe represents your powers to boldly venture beyond your comfort zone, and step fearlessly into the greatest vision and divine mandate for your life. Key Power: Discovery. 6. The Hermit Soul Shoe. The Hermit Soul Shoe represents your powers to expand time through solitude, retreat, meditation, and quiet time. Key Power: Time. 7. The Caretaker Soul Shoe. The Caretaker Soul Shoe represents your powers of love. 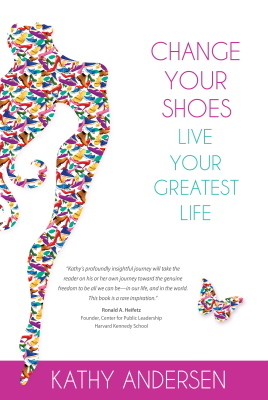 In these shoes, you connect to your actualized self to create meaningful and lasting endeavors. Key Power: Love. Sign up below to receive program launch notification and special introductory pricing.